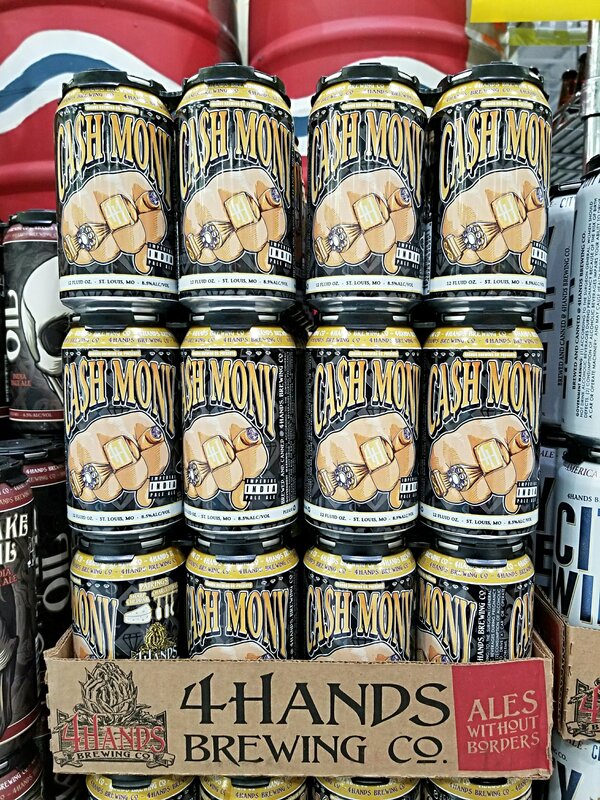 Previously available for a limited time in 22oz bottles, 4 Hands CA$H MONY IPA is now available in 4 packs of 12oz cans. CA$H MONY is an Imperial IPA brewed with a wasteful amount of the very best hops we could secure. An ample malt bill is paired with a huge dose of pungent hop flavor. Citrus dominates the aroma, accentuated by notes of melon, pine, and tropical fruit. Previous PostTasting Schedule for 1/5 and 1/6!Next PostDeschutes Abyss is BACK!